Baggy Gregory | Clarksville Sports Network - Clarksville Tennessee's most trusted source for sports, including Austin Peay State University. 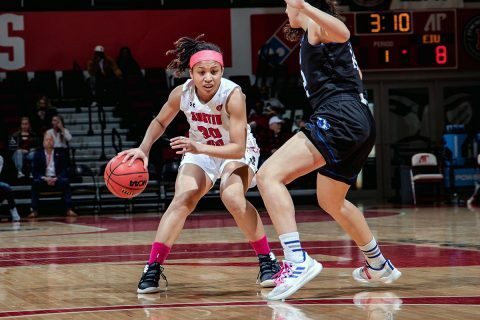 Clarksville, TN – Austin Peay State University (APSU) women’s basketball team suffered from a poor first-half shooting performance to fall to Eastern Illinois, 67-57, Saturday, at the Winfield Dunn Center. The Governors (11-12, 6-6 OVC) put together a late rally, cutting a 17-point deficit to just five, but came up short in the end.